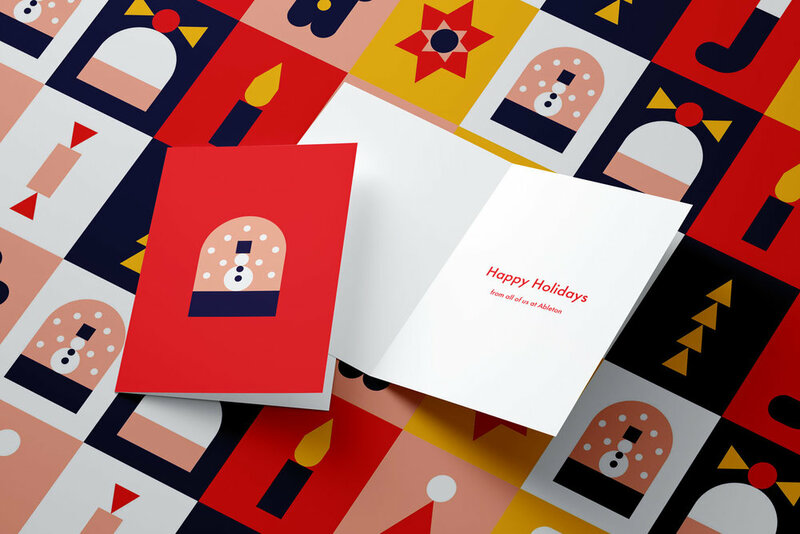 Fun and colourful stationery to help Ableton spread their Christmas cheer! 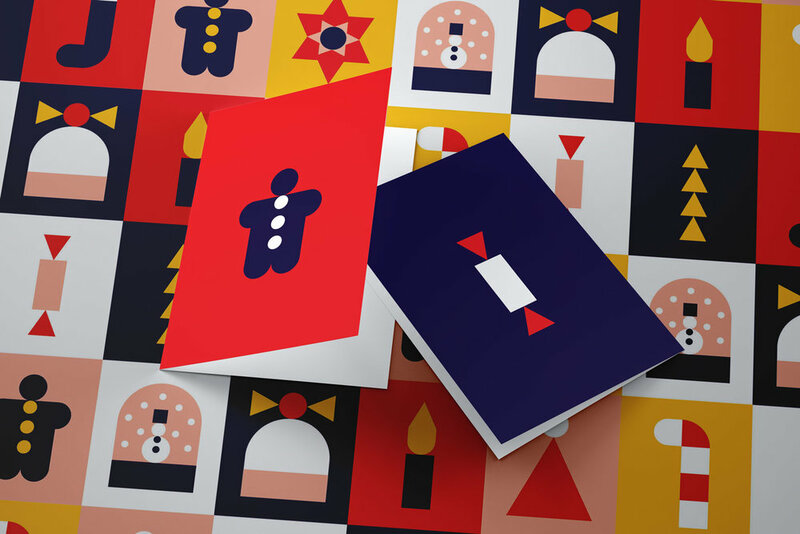 I developed a series of holiday-themed illustrations to create invitations, greetings cards and wrapping paper for Ableton employees and partners. Very loosely based on their brand guidelines, each illustration is made up of basic shapes like squares, circles and triangles for a simple, geometric style.